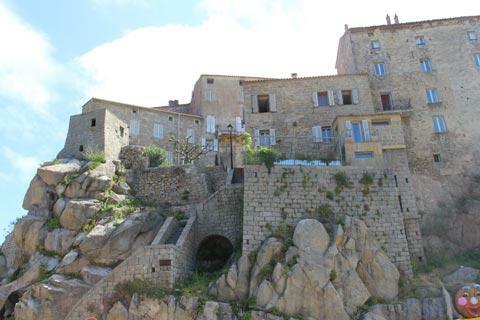 The historical town of Sartene is situated in south-west Corsica between Bonifacio (to the south) and Ajaccio (to the north-west). 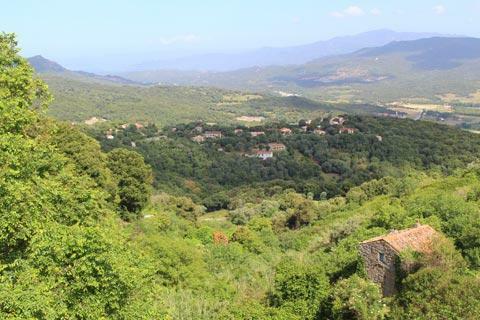 Between the sea and the mountains, it refers to itself as 'the most Corsican of the towns in Corsica'. 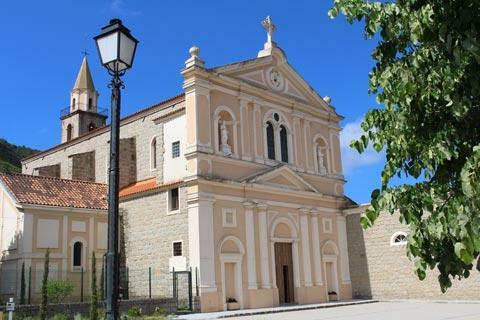 Although the region has been occupied since prehistoric times, the founding of the town that we see today dates from the early 16th century, followed shortly after by the construction of the fortifications. Unfortunately the fortifications were not entirely successful and in 1583 the king of Algeria breached the defences and took much of the population for slavery. 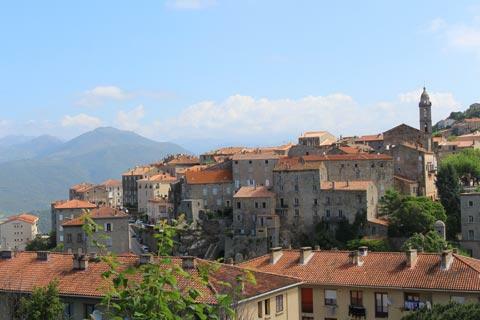 France This Way comment: although Sartène is quite a small town, the combination of the lively atmosphere and the historic centre make it one of our favourite towns in Corsica and a visit is recommended. Park in the car park at the south of Sartene and the first thing you see is the far-reaching views across the mountains and out across the Valinco Golf. Instead of walking straight into the town centre we suggest you walk up Rue J Nicoli (the route that arrives here from Bonifacio and follows the hill to the west of the town centre) to see the belvedere viewpoint with its view across the town and out as far as the Mediterranean. From this road, next to the church you can descend the road called U Strittonu which takes you to the bridge just outside the entrance to the old town, called the Pont d'A Scaledda. It is from this bridge or nearby that all the 'postcard' photographs of Sartene are taken. From here you can continue into the centre of the town around the Place de la Liberation (the place was previously and is often still known as Place Porta). 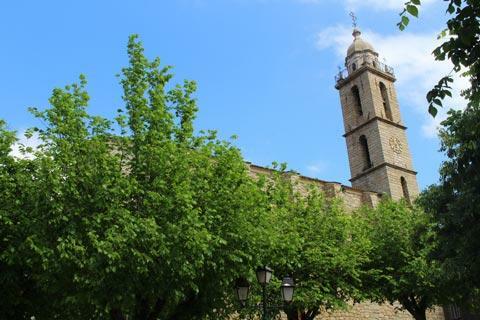 Here in the bustling centre of Sartene you can find cafes and the weekly market, and more views across the valley as well as most of the most important monuments in the town. 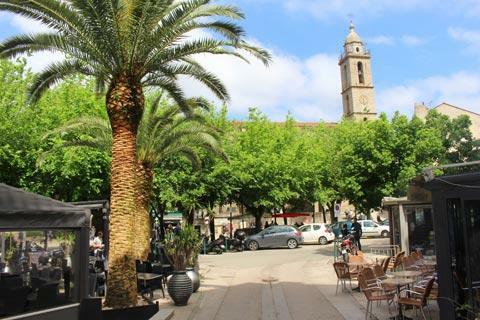 Take a look at Sainte Marie church on the edge of the square while you are here, the highlight is the square three storey clocktower. Other important buildings around the square include the Town Hall and the Governor's Palace. 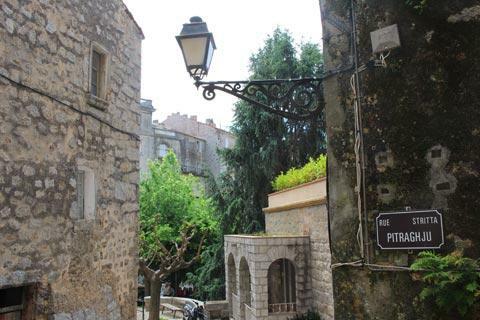 The old town area of Maniguedda is reached through a vaulted passageway next to the Town Hall. 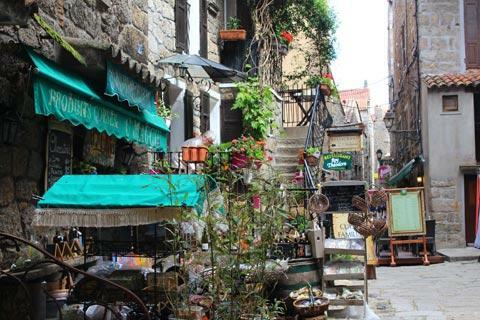 The narrow streets are crammed with tall ancient houses, linked by arches, arcades and alleys, occasionally blocked by unexpected outcrops of mountain. 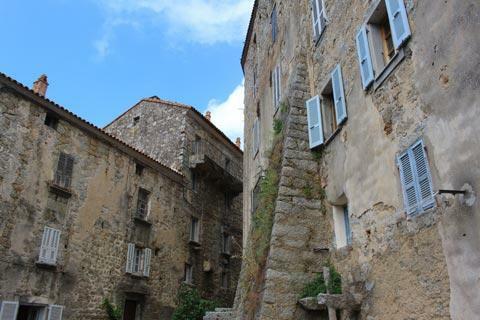 This part of Sartene spreads out down the hill, with a myriad of ever narrower passageways and staircases providing a fascinating glimpse of 'old' Corsica. 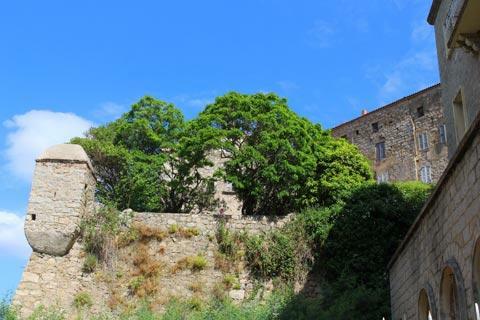 Follow the signs to the 'Echauguette' to see an original small watchtower, a small stone tower on the defensive walls built in the 12th century. Note: after following the signs you need to go into the cafe gardens to actually see the tower which isn't very obvious when you are looking for it! After leaving Maniguedda, the main streets of interest to the south of the Place de la Liberation are the Cours Soeur Amélie to visit Sartene Tourist Office, and also the adjacent streets called Rue Borgo and Rue des Voutes. 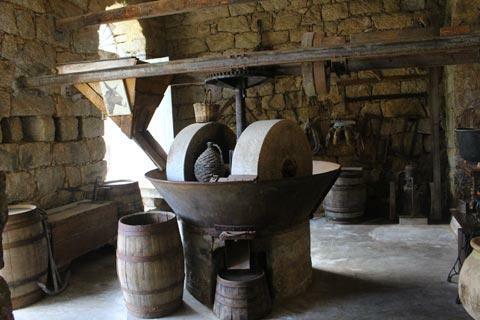 If you leave the Place de la Liberation by the steps to the west you can visit an ancient olive oil mill. 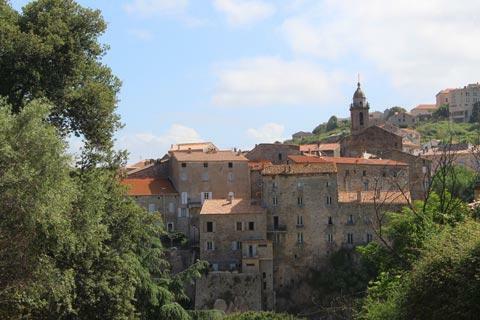 When you have finished exploring the old town the Museum of Prehistory in Sartene is an excellent museum with prehistoric artefacts from all parts of Corsica. Sartène is a good base for exploring the important prehistoric sites at Cauria and Palaggiu, with their fine dolmen and menhirs, and also the standing men stone carvings at Stantari. A little further in the same southerly direction is Roccapina with its large natural rock formations, some in the shapes of animals such as the 'Lion of Roccapina', a small scenic bay and a large beach. The route from Sartene that leads between the mountains and along the Ortolu valley towards Bonifacio is an especially scenic drive. The 13th century arched bridge across the Rizzanese River is also very picturesque. If you are looking for nearby beaches, you will find several choices if you travel 15 kilometres north-west to Propriano and the coast region of the Valinco Gulf.